Crane Rental: Beginner's Traps to Watch out for. You are here: Home / Money / Business / Crane Rental: Beginner’s Traps to Watch out for. 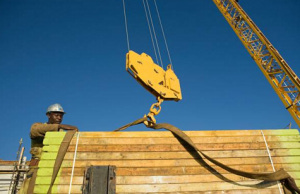 Crane Rental: Beginner’s Traps to Watch out for. (ThyBlackMan.com) There are plenty of excellent reasons why anyone would want to rent heavy machinery such as cranes. For one, they save a lot of capital by renting instead of purchasing their own. Another great reason is the fact that there are many good deals out there that provide quality service for less than most. In fact, it’s one of the reasons why Crane Hire Peterborough is one of the most sought-after services around. However, there are certain things about crane rental that can prove to be quite costly if not done right. There are a few beginner’s traps that could very well turn what was a simple rental job into an absolute nightmare for a company, especially for small businesses. If you’re going to be renting cranes for your construction project and you don’t have prior experience, consider following these guidelines. Make sure that you have plenty of options available before concluding. It means doing your research about crane rental companies and comparing each one. It ensures that the company you eventually choose is well suited to what you want out of a crane rental business. Don’t just select a crane rental business that has the lowest prices – research on why that is the case. While this is common knowledge for anyone who has rented cranes for their project, you’d be surprised how many companies forget to do this. Thankfully, it isn’t difficult to accomplish. When the cranes arrive, make sure to document their initial condition by taking pictures and jotting down a small written report. To make this valid, you’ll need a witness from the rental company to verify your document right from the start. What this means is that if the crane has already sustained some damage before your company receives it, the rental company cannot pin it on you. While not all rental companies do this, there’s a chance that they might not have noticed the damage before renting it out to you. The worst-case scenario is your company going to court to defend itself – which makes this step essential. Maybe this is another obvious step, but it will allow you to avoid any issues during the rental process. If you’re having a difficult time understanding certain parts of the contract, do not hesitate to contact the rental company regarding the details. If they’re unable to provide sufficient information, do not sign the contract. There are certain companies out there who try to get away with extra fees, and if they can’t sufficiently explain why certain parts of the contract are there then that’s a warning sign that they could be up to something. As you can see, these methods are straightforward. Unfortunately, many startup companies don’t make enough of an effort which often leads to the ordeal being costlier than it should. By following these guidelines, you’ll be saving yourself a lot of trouble.